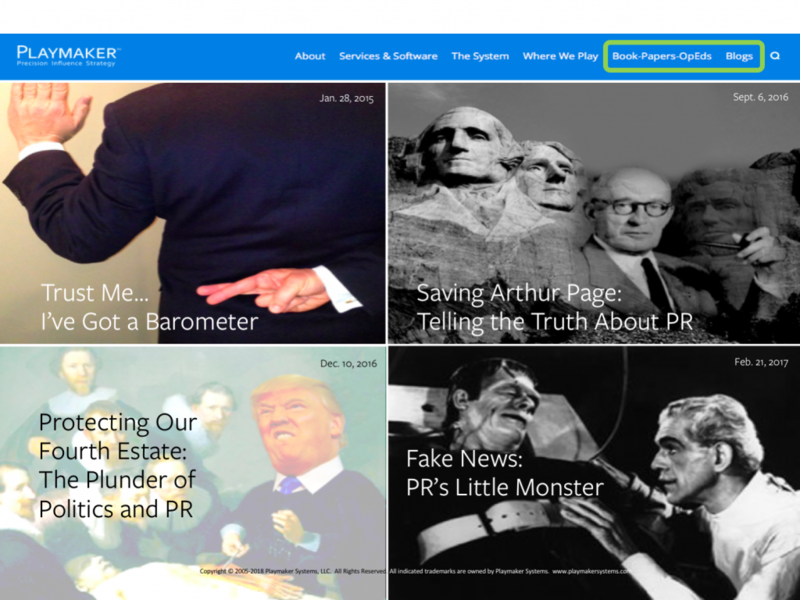 This Friday, Playmaker Chief Alan Kelly joins the fake news panel at the Institute for PR Bridge Conference at Georgetown University. His position: PR doesn’t battle fake news, it abets it. 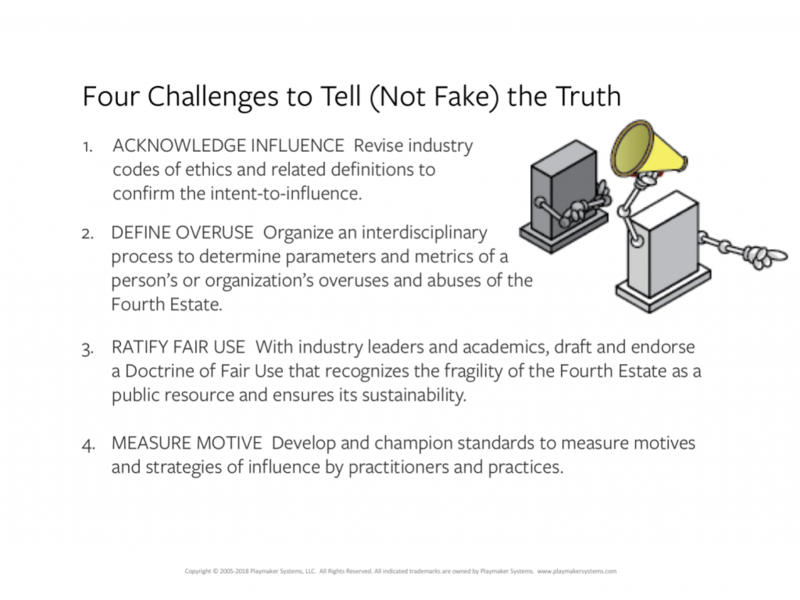 His challenge: Curb PR’s abuses of the 4th Estate. His mission: Measure the motive, not just the message.